Sometimes, the facts support an opinion of no damages, as I recently testified in a state court which largely agreed with me. What happened? This was a dispute between an employee and former employer with multiple causes of action. Having left the company after working 6 years, the plaintiff ended up suing the company for past and future wages. How that job would compare with their past job as per pay. These questions were addressed with pooled Displaced Worker Survey data from 2008, 2010, and 2012 and appropriate econometric methods controlling for economic conditions, age, education, location, industry and occupation of plaintiff. I also considered extent of wage loss due to skill erosion associated with plaintiff voluntarily being out of the labor force for 2.3 years, an application of human capital model with Current Population Survey data. Because defendant kept open the plaintiff’s prior position at a wage 25% above that which plaintiff could find after 50 weeks of searching, my opinion was no damages. Litigation is risky. In this instance I was retained by defense counsel, but my opinion would have been the same if I’d worked for the other side. 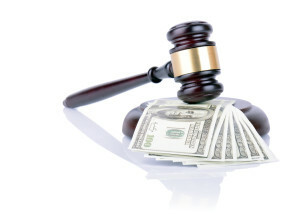 Profile Page Dr. Stephenson has provided a wide range of economic litigation services in over 400 cases. His professional background includes academic, corporate, economic consulting, and government positions. He was Associate Professor of Economics and Business Administration, The Pennsylvania State University; AVP, Aetna International, Inc.; Managing Director, MESA, Inc., a New York City economic consulting firm; and Regional Commissioner, Bureau of Labor Statistics, San Francisco Region.